This is a great waterslide for all ages. 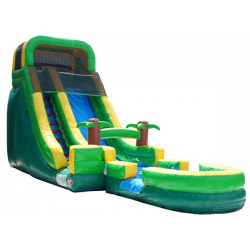 You slide down an 18ft slide to a 25ft SlipNSlide. This one does not have a pool at the end. Great for all ages even adults!